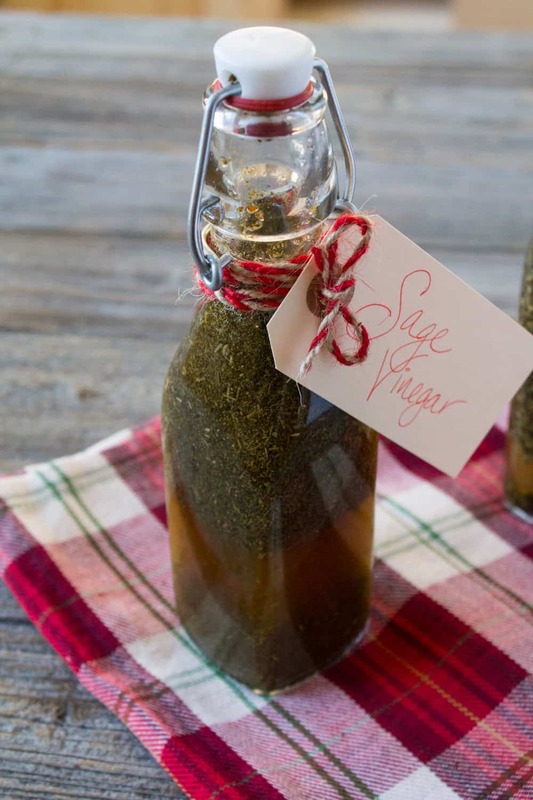 Fit for a holiday DIY gift, these herb infused vinegars make delicious salad dressings and are perfect for helping build up the immune system during the winter months. I love a good salad dressing. Like my vegan green goddess dressing. YUM. Because salads deserve to be jazzed up every now and again. And if a salad dressing can give me some extra health benefits? Well, thats a win win in my book. A few weeks back, I attended a workshop about herbs for winter wellness and immunity led by a local herbalist. She talked about a handful of different herbs and their health properties for preventing and treating the cold and flu. I started making my own herbal tea blend the last few weeks when I came down with a cold and then Steve picked up a virus so I decided to keep up the routine to ward off the nasty virus he had. I’ve been using lemon balm, sage, and holy basil. But tea is only one way to extract the nutritive properties from these herbs, you can use other solvents like honey and VINEGAR! And when you use vinegar as your solvent of choice, you have an awesome salad dressing ready and raring to grace your salad plate. 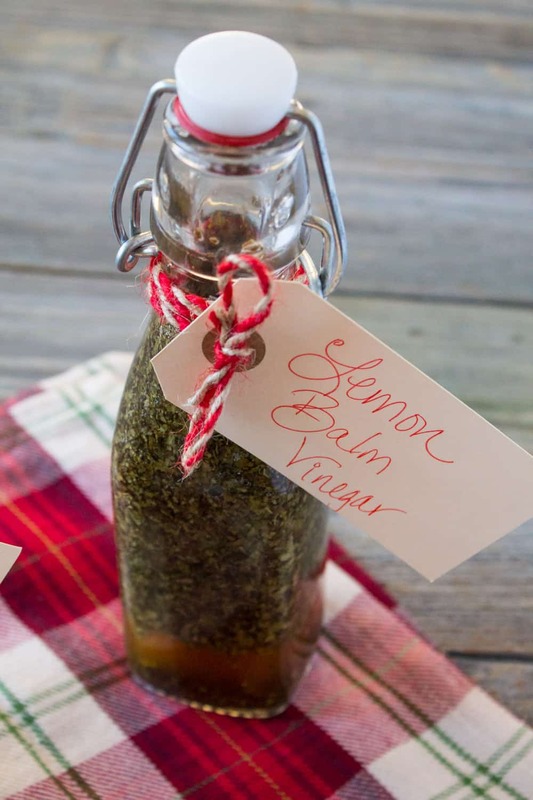 I love the look of infused oils and vinegars and have enjoyed purchasing these as holiday gifts in the past. But I’ve never made them myself! Decided this was the year to DIY it up. 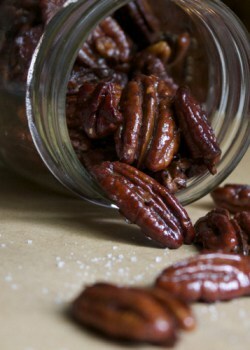 Gifting these in a vinegar bottle with some red and white twine and a tag goes a long way to make this a festive gift. 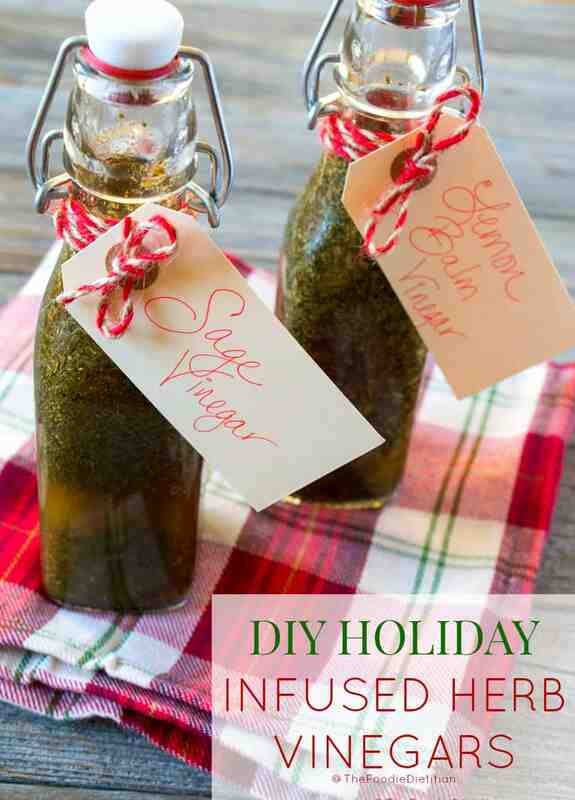 Fill bottles halfway with dried herb. 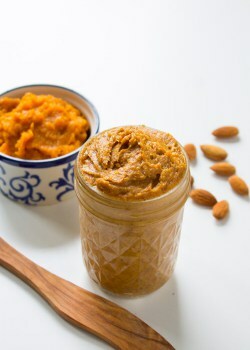 Fill the remainder of the bottle with apple cider vinegar. Store for 2-4 weeks in a dark, cool place. Give a quick shake of the bottle daily. Strain vinegar. Store in the refrigerator. You can use other types of vinegar too such as red wine vinegar. 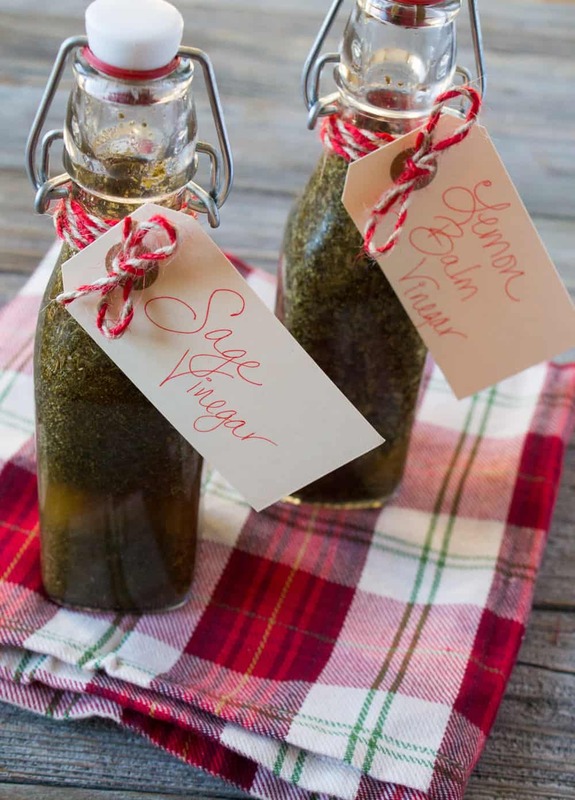 Toss your salad with these infused vinegars and a little extra virgin olive oil for a delicious salad dressing! Your Secret Santa is gonna LOVEEEE you this year! What size bottle do you use for the infused vinegar? I think they were 8.5 ounce bottles! 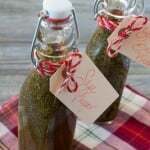 Do you have a source to purchase the gifting glass bottles to put home made infused vinegars in?? Such a great idea! What did you use to strain the vinegar with? Cheese cloth, maybe? I’d love to make this, but want to make sure I have all the right tools first! Great question – you could use a cheesecloth or a fine mesh sieve. Happy Holidays to you too, friend! I love this for a gift idea as ell as something Id love to try for my home as well. Thanks for sharing! Haha gifting to yourself is totally acceptable in my mind! Thanks, Sam! I use vinegar on EVERYTHING! I go through bottles so quickly, I should probably make my own! Haha it’s so easy! You definitely should try it! Love it! What a fun holiday gift for the foodies in your life! 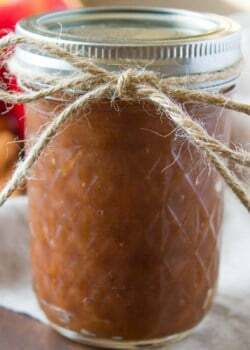 Love homemade gifts and this is a great idea for people who aren’t super into sweets! Totally! I get bombarded with way too many sweets around the holidays.